Living a healthy life while juggling job and family is hard. It feels as if there is enough time only for the most important everyday tasks and when you get home you only have time to eat and see your family for a bit before you go to bed. This kind of lifestyle doesn’t reflect well on your health and at certain age you may start to feel consequences in the shape of diseases and physical pain. Among many ways to relax, doctors say that massage therapy can best suite this dynamic life, because it doesn’t take much time and what you only need to do is lie on a table and let the masseur do his/her job. An alternative to paying for massage sessions is to buy massage chair for yourself. Having said this, there are many home equipment shops and even supermarkets that now offer low price and decent quality massage chairs Melbourne malls for instance, usually have several presentations on massage chairs in hallways and related stores. It is the most common type of massage you can get. It is very relaxing and can relieve pain on certain muscle groups in one session. Masseurs use long strokes and different movements with their skilled hands on muscle spots that are sore from hard training or too much sitting. This is an old technique that has become a commercialized trend among working class men and women. As the title implies, hot and smooth-shaped stones are placed on particular muscle points in order to balance your body energy and relieve pain. This type of massage therapy is preferred for people who desperately need relieve from stress but can’t handle intense massage. An alternative massage therapy that comes from distant Japan is Shiatsu. It is a technique that uses localized pressure on different body parts in a rhythmic sequence. Each localized spot should be pressed for 2 to 9 seconds to relieve the blood flow around the spot and enhance body balance. Though most people have a suspicious opinion about the effectiveness of Shiatsu massages, they end up with a surprised smile once they have tried it. If you are on a tight budget and cannot afford massage therapy, you can always go to the nearest store or buy massage chair online. 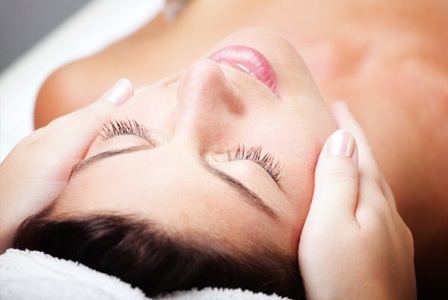 Whatever you decide, the health benefits from massage therapy are great.